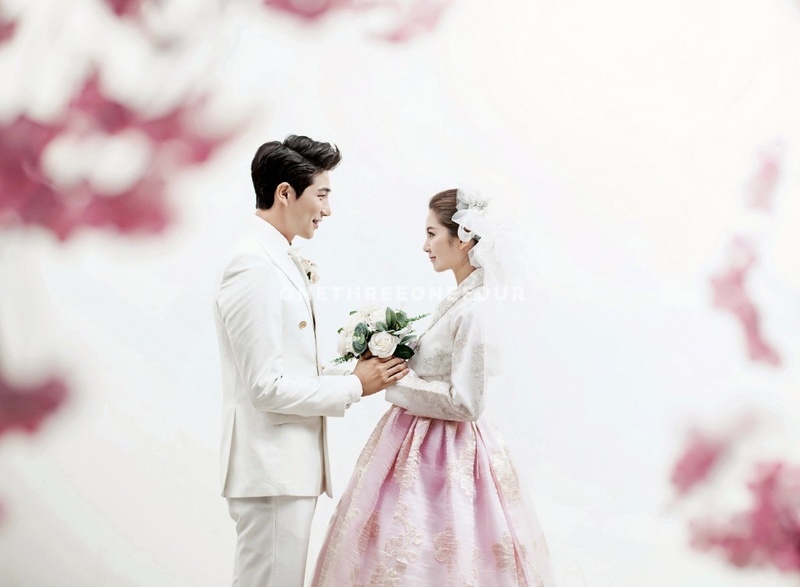 With the never ending Hallyu wave, Seoul is a hot spot for destination pre-wedding photography. With a variety of scenic spots, delicious cuisine, amazing traditional architecture, what’s there not to love about Seoul! If you’re looking for beautiful places in Seoul to have your love story captured, then this post is just for you! 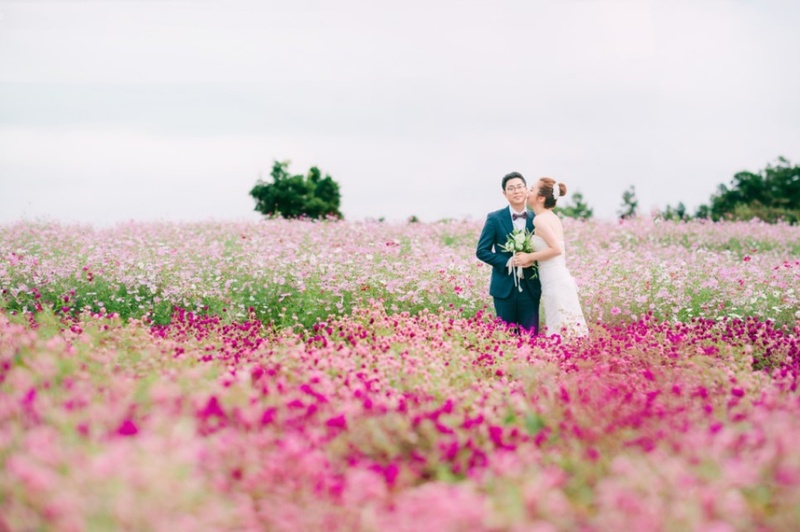 Featuring the best photo locations in Seoul that will remind you of your dreamy, romantic Korean dramas, we guarantee that you will be inspired to have your pre-wedding photo shoot taken in this city. Seonyudo Park is a great cherry blossom spot! With pastel pink hues of cherry blossom trees in the background, you will be able to capture dreamy and ethereal photos right here during spring. Aside from offering views of the blooms, Seonyudo Park overlooks the Han River and the famous arched Rainbow Bridge. Don’t miss out on taking your pre-wedding night shoots here, which offers arguably one of the best night views in Seoul. A famous photo shoot location in Seoul Forest would be the Forest Path. The Forest Path is neatly lined by tall trees, which bears some semblance towards the famous scene in Winter Sonata, shot in Namiseom Island. We think that this is the perfect pre-wedding photo shoot location if you are looking for a place in Seoul that resembles an enchanted forest in a fairytale! If you want to have a beautiful fall foliage in the backdrop of your pre-wedding photos, then it’s a must to shoot at Olympic Park! With an abundance of vivid red maple leaves, the Olympic Park is famous for its fiery autumn colours. If there’s one word to de scribe Haneul Sky Park, it will be: surreal. The Haneul Sky Park is home to lush fields of tall Eulalia during October, when the grass is in bloom. 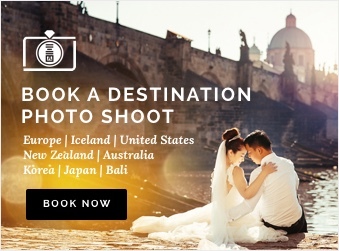 Remember to stay on till sunset to get your pre-wedding photos taken, as the amber hues of the sun rays and the golden tips of the Eulalia will come in perfect harmony to give you a dream-like landscape. Namsangol Hanok Village features traditional Korean houses from the Joseon Dynasty and traditional lanterns made of bright red and blue silks. The juxtaposition of your modern wedding dress and suit against the traditional Korean architecture will make your photos unique and memorable! 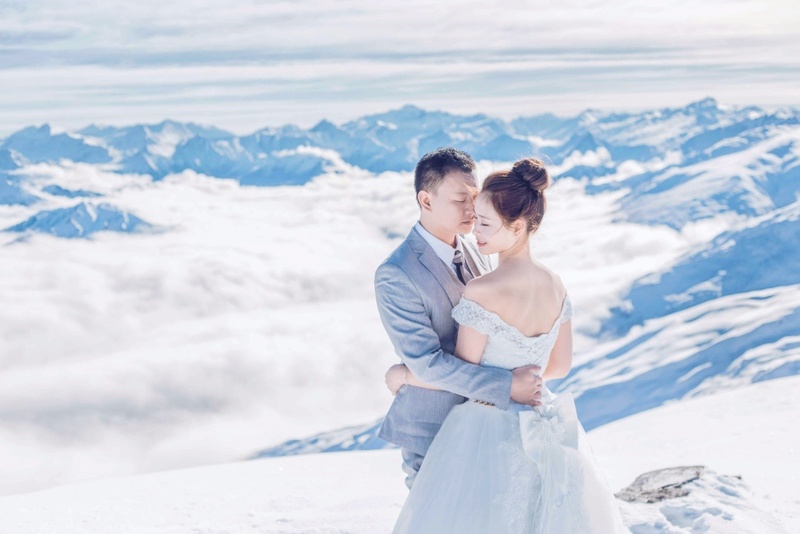 We also love that there’s a pavillon and a lake here, giving you a variety of beautiful backdrops. If you are a fan of the arts and culture, then you’ll love this location! Dubbed as Seoul’s most stylish neighbourhood, Samcheong-dong street is known for its creative wall graffitis and quaint cafes. This artsy street will definitely be an amazing location for your pre-wedding photo shoot especially if they are casual-themed. Also, we love this neighbourhood as it is located close to Bukchon Hanok Village, a residential area with hundreds of traditional houses. This way, you can have two very different series of photos, both giving off very different vibes! Insa-dong street is a unique art district selling traditional Korean handicrafts and antiques and thus, definitely very photogenic! This will be a perfect location if you love the idea of casual date snap photos, which is very popular among Korean couples! Just stroll along the street and have a romantic date with your partner, and let your photographer do the magic! Away from all the hustle and bustle of the metropolitan city, Dosan Park is a quiet and serene green space. If you are looking for something unique, you can opt for a styled concept pre-wedding shoot, such as a romantic camping concept that is featured below! The Dream Forest is renown for its beautiful cherry blossoms! If you come here for your photoshoot during spring time, there will be an incredibly beautiful backdrop when the Yoshino cherry trees along the cherry blossom path are in full bloom. Don’t worry if you will not be in Seoul during spring, as the Maple Tree Forest will look stunning as well during autumn! Opening hours: Details found here.